I'm really excited about this week's BEST OF Friday Style because it features a look that we don't see around that often....Jumpsuits! Last week at the Fashion Forward Conference, I saw the most amazing jumpsuit ever (the green H&M one below). I couldn't take my eyes off it!!! 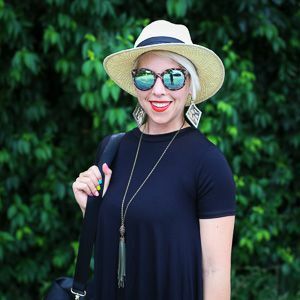 If you're thinking you want to try one out or maybe you're still on the fence, check out how these bloggers styled their jumpsuits....Personally, I think they're a great transitional piece for fall!!! 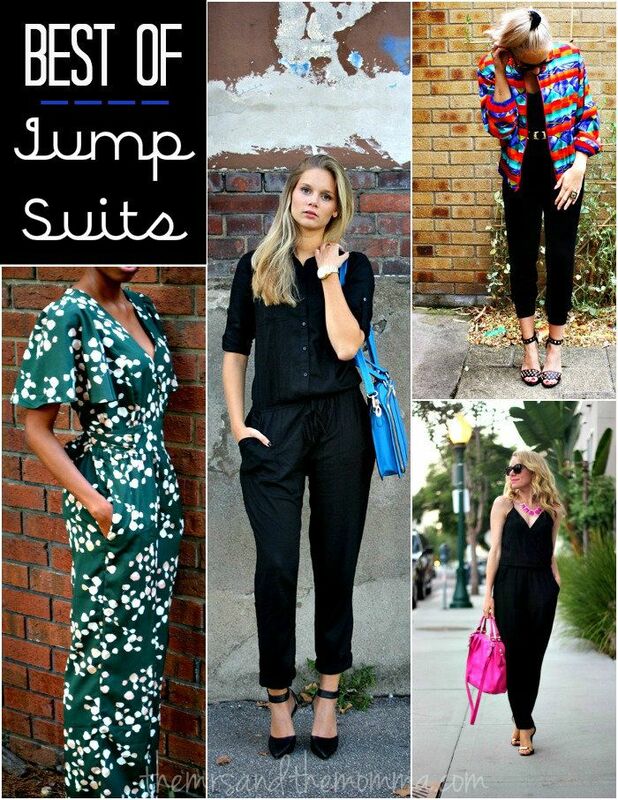 And here are some fabulous and affortable jumpsuit options...which is your favorite??? This is a great fall piece can be worn to work, for a night out or even for a casual day depending on how you style it. I like the ASOS ones. I like how all the bloggers styled theirs. I loovvve jumpsuits, yet I do not own one! I'm on the lookout... love all of these that you've shown! Thanks so much for featuring my green jumpsuit! I love seeing other fashionistas adopt the trend as well. I'm excited to check out all of the blogs in the link up as well. Happy Friday! I'm with you, the green jumpsuit is great! You would look good in it! Obsessed with jumpsuits.....I almost bought a maternity one.....but thought that was too much!